Danni Kirstine Skou - GORM Agency DK will be speaking at IIF2019! GORM Agency is a Copenhagen-based digital agency specialized in UX, Content and Conversion. Danni Kirstine Skou is a content specialist in the agency and expert within Facebook adformats. Danni works for clients such as Carlsberg, Bonduelle, Circle K and Danica Pension. Regular Facebook ads require lots of work in order to test the most efficient variant. Dynamic creative ads, on the other hand, automatically randomizes the ad variations for you, making it easier to show the most relevant ads to the relevant people. 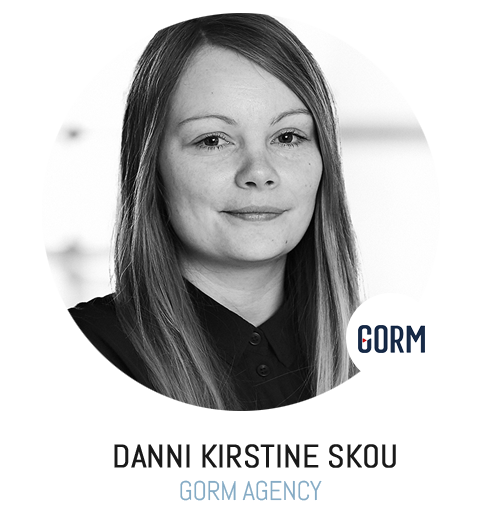 Danni Kirstine Skou – Content Specialist at GORM Agency – will guide us through this process and present best practices on how to succeed with the format.